This is great, but what if I reviewed a product. How do I get the schema to show in Google of a 4 star review by x.
I use WP SEO Structured Data Schema Pro. Will the new Yoast schema conflict with WP SEO? Thank you for the update, I have a question though, do I need to buy the news SEO plugin if we have a blog on our site to get better chance showing up in news article carousel? or the premium version already covered this? How is schema data added by other 3rd-party plugins affected, i.e. if we use the “Schema – All In One Schema Rich Snippets” plugin (https://wordpress.org/plugins/all-in-one-schemaorg-rich-snippets/) or the “Schema” plugin (https://wordpress.org/plugins/schema/) does Yoast optimize that data as well? Nope, we don’t touch it either so as long as it’s not conflicting with ours, it shouldn’t be too much of a problem. But I honestly think you won’t need those in the long run. Updating schema is not an easy task. As problem comes to update the number of reviews being given and that get’s updated simultaneously on SERP. Will try this trick and check if it works then very good. How this will work for real estate website with property listings and agents listings? I am using Schema Pro for my website along with Yoast SEO Premium. Do I need to uninstall Schema Pro? How do I view this in Yoast? Is there a way to add schema markup using the Yoast tool? Also, is there a way to see whether or not schema has been added correctly? You can’t add schema manually, it’s all done automatically. 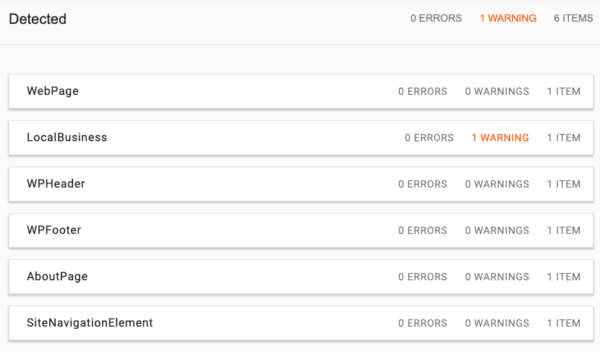 The way to see that it’s been added is using Google’s Structured Data Testing Tool. “Article” schema shows errors when we select the site representative as a Person, and it must be an Organization. Google does not allow Person as the Publisher for articles. What to Do? It’s valid Schema markup, it’s just that Google’s Structured Data Testing Tool doesn’t like it. I wouldn’t worry about it for now and know that we’re discussing this with them. The most-awaited update has finally become functional. I’ve had manifold problems in building a proper structured-data of website using Google Webmaster Tools through its tutorials, but cannot successfully implement the structured-data of website. Nonetheless, with this update No More Worrying about it. Excellent work! Very happy with this update. I started checking and the amount of added data is immense. How would we as a store, that personalizes products, solve this? It’s not an error, but a warning. If your products don’t have any of those types of ideas, it’s really impossible to fix it as far as I know. Yoast is the best seo plugin. The nesting and use of # fragments for IDs is very elegant. One thing I’m curious about is that the implemented JSON-LD on this page has as the top-most entity an Article @type with @id #article, and within that same level the “mainEntityOfPage” prop provides a value of #webpage. The difference between webpage and article types is arguably marginal (although I’d argue that the Article is the main entity of this page), but would it not be better to align these 2 signals with the same value to avoid confusing algorithms? that schema graph actually says: “this Article (identified by #article) is the main entity of the entire page (identified by #webpage)”. So they’re separate things, albeit indeed very closely related. The syntax of mainEntityOfPage can be very confusing I’ve found in the last few weeks. Hmmm… I’m not so sure Joost. “mainEntityOfPage” is used also to disambiguate when multiple entities sit at the top level (e.g. you output multiple structured data blocks in separate elements). But in your case the top-level entity is one thing (#article) but you are then saying that the mainEntityOfPage is #webpage. Structured markup like this is hard, and I’m not saying my interpretation is correct or that yours is incorrect, but I suspect that this structure may send conflicting signals to at least some consumers of this data. I hope we canhear from some of the people involved in defining these schema so that we can get some further clarification. As an aside, I think that the #article entity should actually be mainEntity (based on what you mention above), rather than mainEntityOfPage which often indicates that the current page is about an entity which can be best defined by another ID (very often a different URL). That’s what we’re doing at the moment. The article is the ‘mainEntityOfPage’ of the #webpage ID. I’ve had the hardest time learning schema. Thank you so much as this will be way easier to understand and explain to clients! Thanks for this update, looking forward to explore it! Have fun with it, keen to hear about your experience! I’m very happy with this updates, We tried some plugin for fix issues of my schema/structured data but failed. Thanks ‘Yoast SEO’ for caring us. 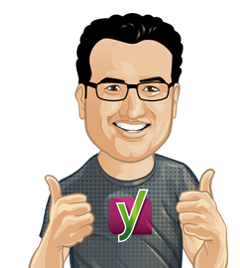 As always I love what Yoast and does have been using Yoast for all my client’s sites. I do have one question though. I use the Genesis framework with all of my client’s websites. They also provide schema, will this overlap or interfere with that? Yes it does overlap with theirs, but luckily, Genesis legend Bill Erickson has already got you covered, check out his post on how to disable the Genesis Schema. Good news. Thank you so much for that. I could improve my blog page rich snippet. So how does none technical webmasters like us implement it? and what happened to the built in theme version or plugin we already use? If you use Yoast SEO, you don’t have to implement this, we did it for you. Hi, Joost. I’ve been using the Yoast SEO Pro and Yoast Local plugins together for some months now. Easy implementation of schema.org for local businesses. However, with this update, is there action required from the user end or are @id automatically applied? Will this improve schema for job listing. 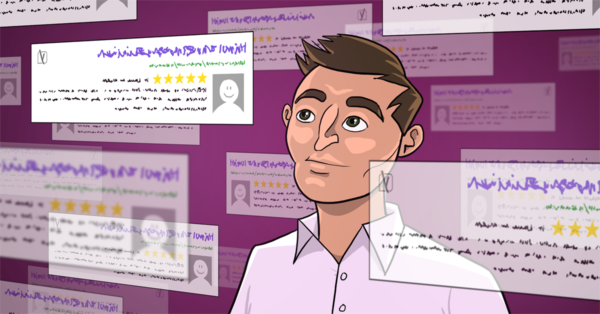 Will yoast be doing anything in the future to help those who post job listings. Seems Google hates third party job boards. Constantly getting manual actions strange thing is I do nothing then tell Google its fixed in a one liner message and bam the manual action gets lifted. I wonder if Google do this because of the schema data? 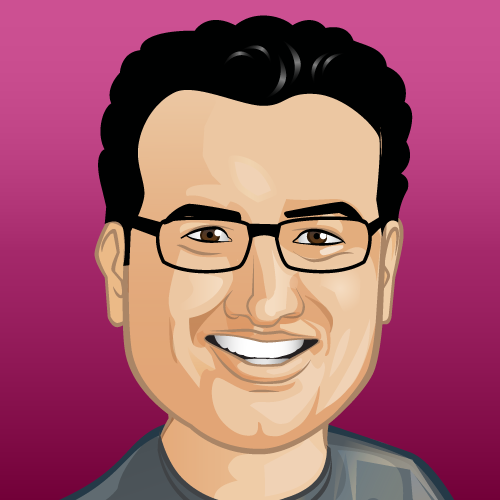 I love yoast its so user friendly and a must have for any WordPress site. This won’t improve it by itself, but it does allow for us to help you with that a whole lot easier. I’ll link to this as I mentioned this during my WCLDN talk – as if I knew this was coming ;-) PS – will this help with voice searches or is this a different markup? The reason why I asked this, is because I read that in order for a business to be ‘recognised’ by Google home and Alexa, you need to submit details to a register and get verified. It’s a bit of a vague territory between GMB, Bing Business, Schema, Alexa and local SEO, etc. I am sure this schema markup is a step in the right direction. btw, I appreciate the Schema is much bigger than just business listings, but I always used this to test SEO visibility. Schema has never really excited you before. I have realised its importance but always found it hard going to implement. That is until now! Yoast Premium 11.0 has me very excited. Yet another reason to help me reinforce just how important it is that my clients use Premium rather than Yoast free version. I see another marketing opportunity right here, right now. Woauw.. this is truly amazing work. And sooo cool that you are willing to share this in the open and not only keep the knowledge for yourself for the sake of commercial reasons. Let’s take structured data to a level like it really could be. Yes, let’s. We don’t believe in restricting ideas. That’s a great attitude. What does happen with existing structured data (those loose bits & pieces where Jono talks about) generated from themes or other plugins by the way? Nothing happens to them, they stick around, they are just not connected to the main graph and it’s therefor harder to distinguish their relationship to the rest of the content. This article gives the light on a very important topic and provides in-depth knowledge. I want to say thanks for this kind of articles. Great timing!! I’m working on a “How to do a schema audit for SEO” guide and experiencing so much frustration…. not to mention the challenges with client sites.